…,staat is an international creative agency working on design, branding, architecture, advertising, and everything else in between. 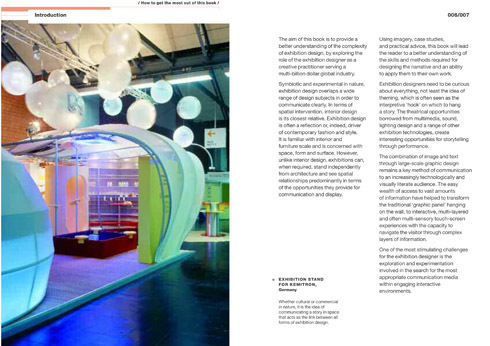 The agency’s award-winning project The House of Bols Cocktail & Genever Experience features in Basics Interior Design: Exhibition Design as an example of a fully-integrated ‘branding approach’ to exhibition design. The House of Bols is not just your average cocktail bar: in 2006 …,staat was asked to create ‘The House of Bols’ experience – a space in which visitors could explore the rich history of Lucas Bols (the world’s oldest distilled spirit brand established in 1575) and learn about genever liquor and the importance of taste. 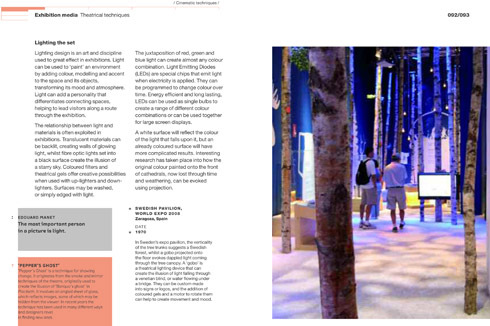 …,staat utilised audio-visual displays and a range of scents, spices and ‘taste tests’ to create a unique user experience to stimulate all the senses. The journey culminates in the ‘Mirror Bar’ where visitors are given a complimentary ‘House of Bols’ cocktail. Read on to find out more about …,staat creative agency and their passion for branding and Amsterdam! The projects you’ve worked on range from exhibition design and installations to branding and graphic design. How would you describe …,staat creative agency and the design services you offer? Do you follow any particular design philosophy? Our philosophy is: use everything you can to get the message across. We have learnt to work on different disciplines together to make a brand or project work – ranging from architecture to graphic design, to film or online. We see – and use – creativity itself as a platform and perceive our agency as a creative partner that is able to work in every and any field. We offer passion, total dedication and an open mind in everything we do. Your agency is based in Amsterdam. Do you find the city to be an inspiring place to work as designers? YES! Amsterdam is a global village, with a big city mindset. And open-minded. Creativity is massive part of the DNA of Amsterdam, along with its abundance of international agencies (W+K, 180, Massive Music etc…). Plus it’s home to a great bunch of creatives, media and brands: UN Studio, Marcel Wanders, droog design, FRAME, MTV and several denim brands). The mix of people and nationalities is also fantastic. But what we particular love is the free spirit of Amsterdam. Do you follow a similar working process for each brief/project or does each designer work in a different way? Our assignments are so different, in terms of strategy or execution. One minute we could be doing fashions shows, the next a bottle or postage stamp. So we need to redefine our modus operandi for almost every assignment. However, the good news is that we already have a great deal of experience in all kinds of areas. We demand a totally open mind from everybody who works at …,staat regardless of what assignment they’re undertaking. This ensures the unique DNA of our company. 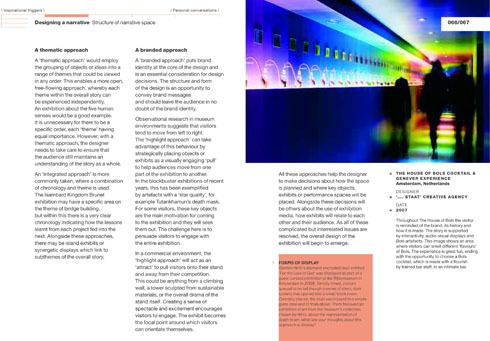 What would you say are the key points to consider when creating an exhibition or brand experience? The passion of a brand. When you know what the brand is all about, you know what people should feel when experiencing it. This passion is key in all of our projects – whether it’s strategy, concept or design. As an agency is there a project which you’ve particularly enjoyed working on? All of them, to be honest. We are selective. We ‘choose’ our clients and the work. Because we believe that a relationship works best if there is love and dedication on both sides. That’s the reason we took a road trip to Nowhere, Oklahoma for Italian denim brand Meltin’Pot; created a Private Members’ Club in Seoul; constructed an actual working carousel for a global product introduction for Bugaboo; and made the first smoked glass bottle for Bols Genever. And what we are particularly proud of is that these beautiful projects work. They’re exactly what our clients are looking for. That’s why we do what we do. With rapid developments in digital media and technology, how do you think this might affect the way you work in the future? As we work with creativity in the broader sense – and not in one specific area – we always integrate digital thinking right from the start. Furthermore, the new technology (i.e. rapid prototyping/3D printing etc.) helps us to work even faster. However tempting, we are not misled by all the possibilities this era gives us. To the contrary. In these times, it’s very important to focus on the idea and let technology work for the idea – instead of the other way around. What advice would you give to students wanting to work in exhibition design or a creative agency similar to yours? The mix of different disciplines and projects is what keeps the work interesting and inspiring. Create with passion and you’ll find the design or agency that suits you. Or they will find you. Check out the …,staat facebook page and blog to keep up to date with the agency’s projects and creative musings! The second title in AVA’s Basics Interior Design series, this book explores exhibition design in a variety of contexts using inspirational case studies and images throughout. 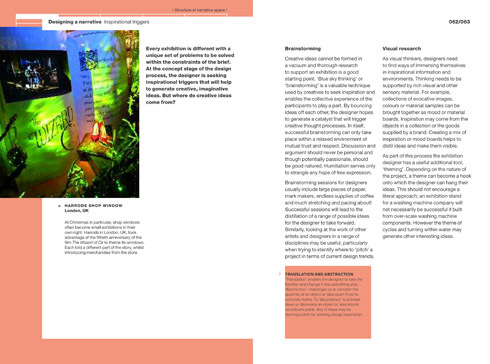 The use of narrative and storytelling is discussed as well as theatrical techniques, digital media, graphics and communications and the practicalities of building an exhibition. 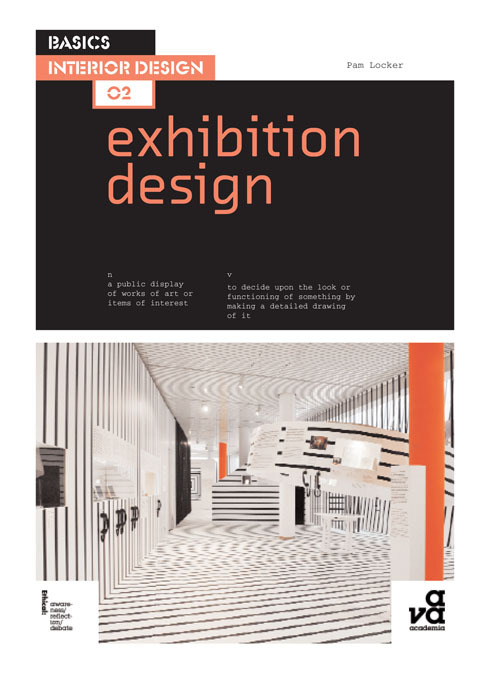 Exhibition Design also includes a glossary of key terms, a reference list of prominent designers working within the industry and a ‘Working with ethics’ section. Exhibition Design is available to buy from the AVA website, along with the Basics Interior Design and Basics Interior Architecture series of books. 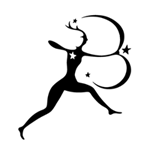 Many thanks for Staat creative agency’s simple explanation for passionate branding & graphic design. As a professional graphic designer. I truly understand the joy of a successful branding & graphic design.